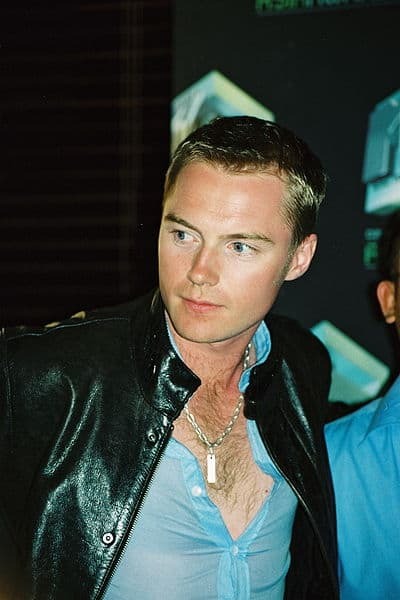 Boyzone’s cheating Ronan Keating has been in a bit of bother this weekend after his wife found text messages on his phone between her hubbie and his alleged mistress. But in spite of the negative headlines his fans will probably carry on playing his music. After all, Boyzone fans are still reeling after the sudden death of Steven Gately. Now they have the additional concern over Ronan’s shenanigans. Yet, they will still be humming “Picture of You” or “No Matter What” as they wend their way to work today. Once a fan, always a fan. The chances are the true fans will have every album, every “live” version of the same albums, the downloads of singles from the same albums and “The Greatest Hits”. The truth is, they will have paid for “No Matter What” probably three or four times – and paid more money to hear it sung live. And think what you like about Boyzone fans – they are no different to you. Just take a break and go take a look at your CD cabinet in your lounge. Even if you don’t file everything alphabetically, you’ll still be able to find three or more copies of the same thing. Whatever your musical tastes you’ll probably have the single, the album with that single on it (again), the live version, the unplugged version and perhaps the extended version..! Music fans buy the same thing time and time again – even disgruntled Boyzone fans who feel let down this weekend. And it’s not only music fans that do this. How many copies of Monopoly do you have? We’ve got four: “ordinary” Monopoly, Junior Monopoly, Shrek Monopoly and a version based on Reading, Berkshire. But they are all the same game. We’ve paid for the same thing four times over. Book readers do the same – they get the hardback the paperback, the “second edition” (which has only a few changes of text compared with the first), the audio version and perhaps even a DVD of the author giving the same message. The same material, paid for several times over. Take a look at your DVD collection. Chances are you’ve bought DVDs to replace those VHS video cassettes. And soon, you’ll be getting the Blu-Ray versions and perhaps you already have the downloaded version for your iPod. Once again, the same content bought and paid for several times over. We all do it. Now have a look at your business. Do you only have your products and services in one format? Perhaps you have an ebook, or a DVD. Are you selling that same thing again and again to the same people? If not, you are missing out. After all, that’s what the entertainment industry is doing. So, if you have an ebook why not get it printed – say via Lulu – and sell the paperback to the people who bought the download. And once they have bought that, why not the audio of you reading the book out loud? And then when they have that version, what about the DVD of you being interviewed revealing the contents of the book. Once piece of content – four different forms and thereby considerably more income from the same material. If you produce your products and services in just one format, you are missing out. However, for it to truly work you need to generate a fan base. People will not usually buy multiple versions of the same content unless they like you, trust you and feel they know you. Build on these aspects and you will be able to sell your products several times over to the same individuals. But, if you do anything which loses the respect of your fans, you will face difficulties – unless, like Boyzone, your fan base is extensive and long-standing. That’s just one crumb of comfort for Cheating Keating. ; it takes a seismic change to shift solid loyalty. But if you can generate it, then selling additional products and services is easier than you might imagine.